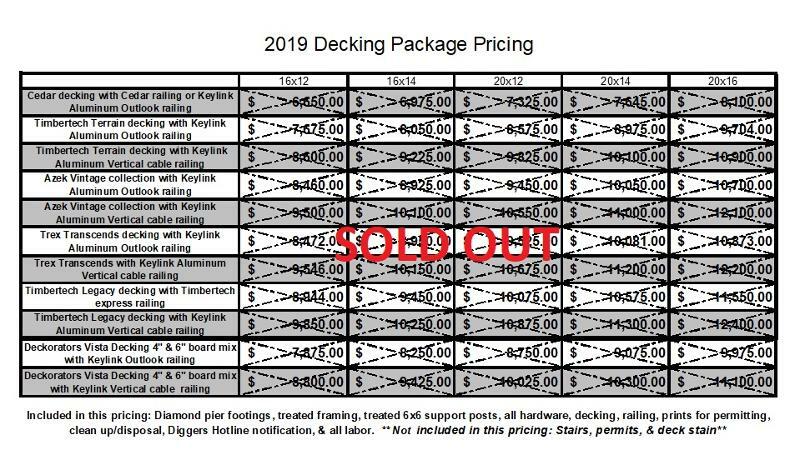 Our 2019 Negotiated Package prices are completely sold out. We can however still do any of these deck packages but at these Great prices. contact us today.